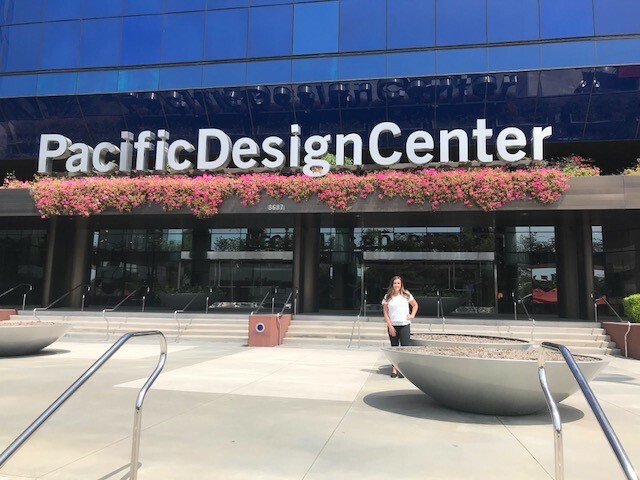 Jessica Payne, a senior interior design major in Belmont’s O’More School of Design*, recently completed an intensive three-month internship program at Princess Cruises, an award-winning destination leader in worldwide cruise vacations. Payne worked in the Interior Design & Operations Department for the shared services group supporting Princess Cruises, Holland America Line and Seabourn, all part of the world’s leading cruise brands of Carnival Corporation, and was responsible for selections, specifications and coordination of design packages for fleet wide initiatives. The internship utilized Payne’s design knowledge and cost savings, budgeting and organization techniques. Other responsibilities included supporting ongoing efforts to broaden the supplier base and innovating efficient ways to develop proposals and presentations. Princess Cruises Internship Program is a 10-week, paid, project-structured summer learning experience available to undergraduate and graduate students of four-year degree programs from a multitude of disciplines including marketing, public relations, hotel operations, food & beverage, engineering (marine/technical), finance entertainment and more. The program takes place at Princess Cruises world headquarters campus located in Santa Clarita, California and is known for its challenging projects with a full complement of enrichment activities designed to give the participating students a professional work experience. Payne was one of 49 interns selected from a competitive pool of over 1,000 applicants. This year’s intern class included representatives from 34 elite institutions. Internship opportunities are promoted between November and December each year for the following calendar year.